American Gold Buffalo is the first 24-karat gold coin minted by the US Government for public distribution. American Gold Buffalo, distinguishing from previous American Gold coinage with traditional 22 Karat, is the first pure 24 Karat gold bullion coin produced by the United Stated Mint. Since it is the unique 24 karat gold coin, and enjoys a high degree of investment liquidity, the collectors and investors prefer for purchasing. The American gold Buffalo was first provided for sale by the U.S. Mint on June 22, 2006 and more than 300,000 of the coins were minted and sold that year. This was the first pure coin (24K gold) minted for the public, used to compete with foreign 24 karat gold bullion coins. In 2006 and 2007, the coin only was been issued in a one-ounce version, but in 2008, 1/2 oz, 1/4 oz and 1/10 oz coins were minted respectively with face value of $25, $10 and $5. The design of the American Buffalo coin is a modified version of Indian Head nickel, initially designed by James Earle Fraser. The obverse side is a Native American designed based on three Indian tribes - Big Tree, Iron Tail, and Two Moons. The reverse side is the silhouette of an American bison standing in profile designed by Fraser. It is commonly thought that the buffalo was modeled after "Black Diamond" lived in the New York City Zoological Gardens during the 1910s. 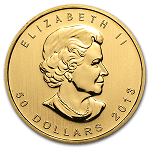 In additional, each coin is inscribed with the gold content, face value and weight on the reverse. 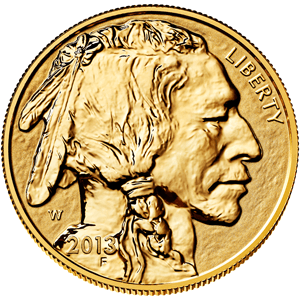 The American Buffalo coin is the first pure gold coin minted by the United States mint. It has a legal tender (face) value of US$50. However, the face value is not the actual market value which is according to the gold spot price of current market plus a premium per coin. Since the Buffalo coin is extremely popular and the gold price is tremendous increasing, the coin's market value has increased considerably in a short time of just a few years. The United Stated Mint price of proof coin was $800 in 2006 increased to $2,010.00 in 2011. 1. 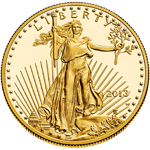 The American Gold Buffalo owns graceful design, and guaranteed by the United States Government to the stated amount of actual gold weight in troy ounces. 2. 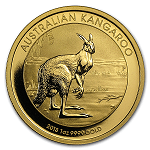 The gold Buffalo coins has 1 oz Fine Gold .9999 stamped on the coin making it highly trustworthy and high liquidity, you can trade with the price of gold market value almost anywhere in the world. 3. The American Gold Buffalo Coins are small and exquisite, so that easy to store, or transport. 4. Unlike other gold bullion coins, the American Gold Buffalos are acceptable for your precious metal IRAs, which are a great way to diversify your wealth. 5. Distinguishing from other gold bullion coins, the American Gold Buffalo is one of the most private investments which is non-reportable the IRS by brokers. 6. 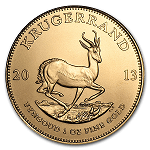 The Gold Buffalo coins are minted in 24 karat gold with a face value of $50 which gives them a brilliant luster. 7. The Gold Buffalo coin in 24K is a unique coin minted by U.S. Mint for the public.